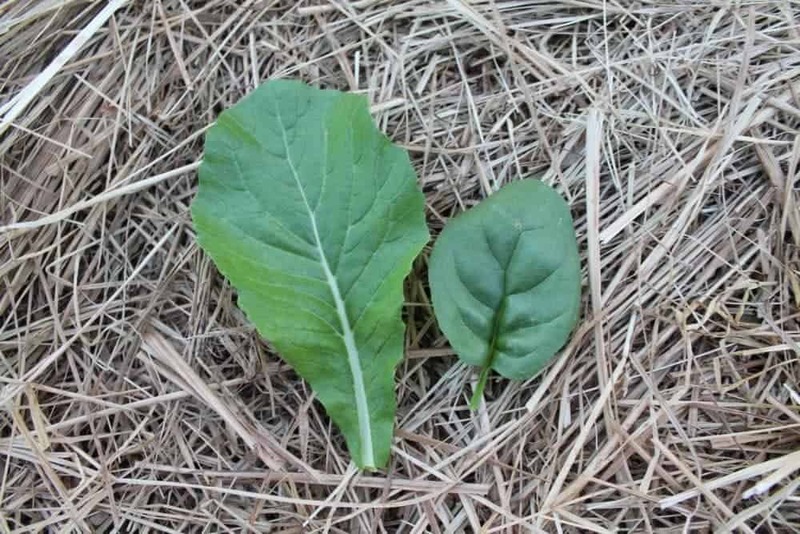 It’s also called mustard spinach, and out of the mustard greens it has a much milder taste. 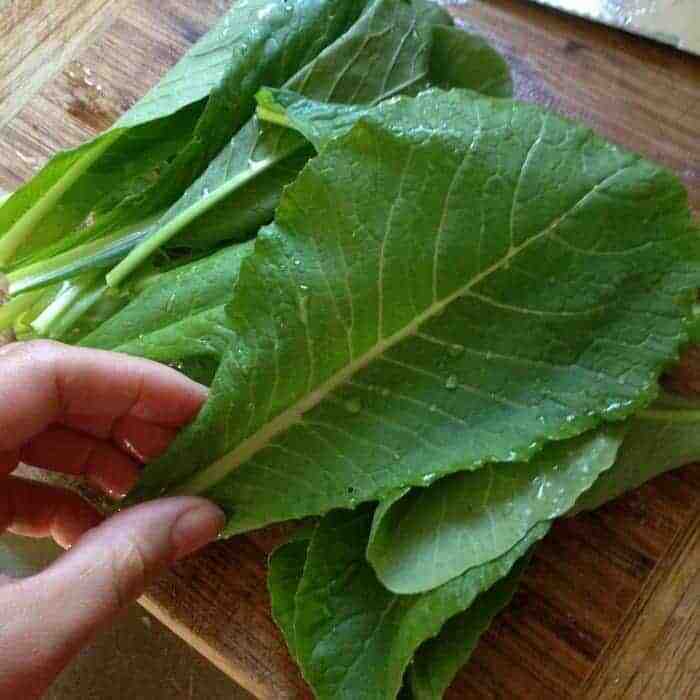 Many of the mustard greens are known for having quite a spicy bite to them. 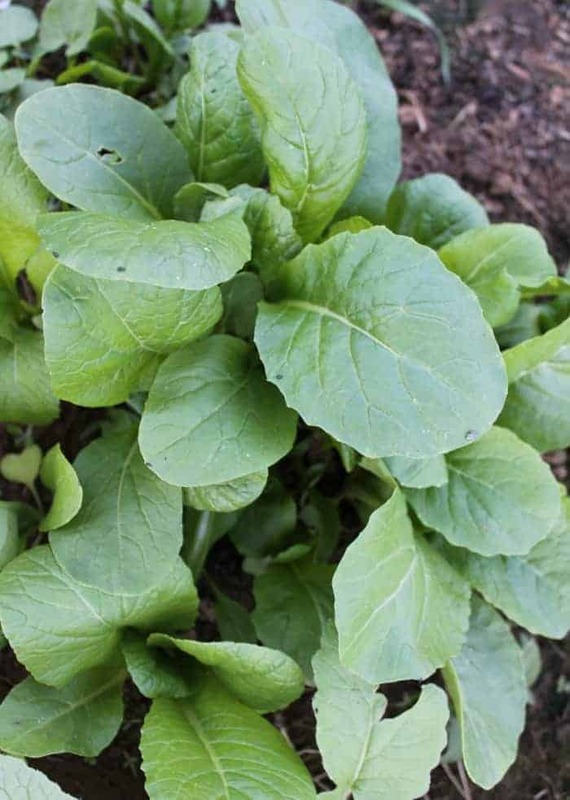 Komatsuna is great because it’s far less strong than other mustards making it more appealing for those that want to grow these super fast growing greens. 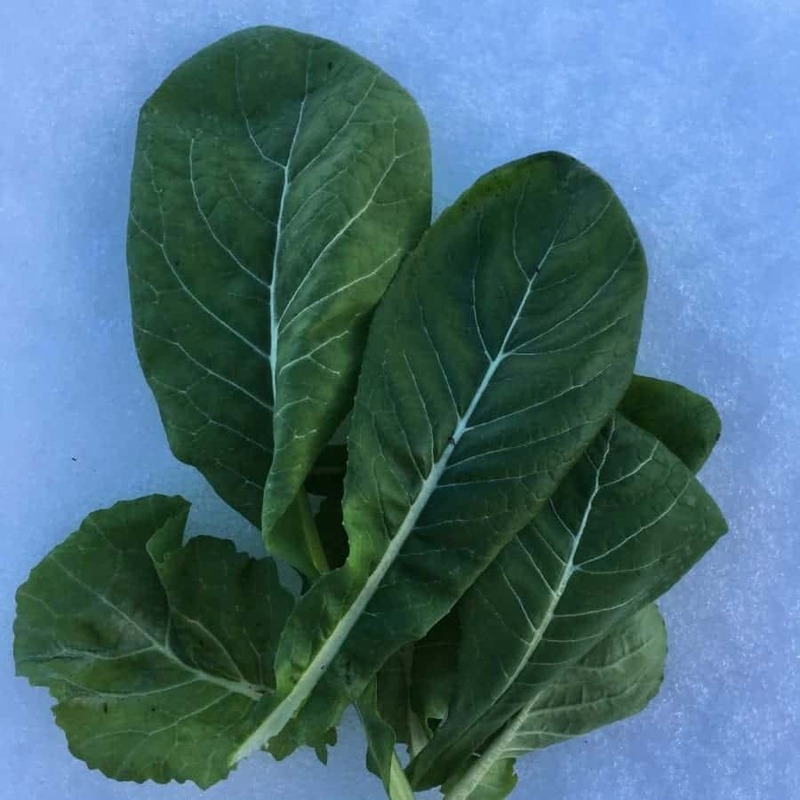 Komatsuna is a lovely tender green that loves cool weather in the spring and fall weather. The baby leaves can harvested in 28 days and the larger leaves around 40 days. We eat it raw or cooked, in any way that you’d eat spinach. We grow this crop again in the fall as it’s great for the fall/winter garden. This green grows faster and larger than most of the other greens. 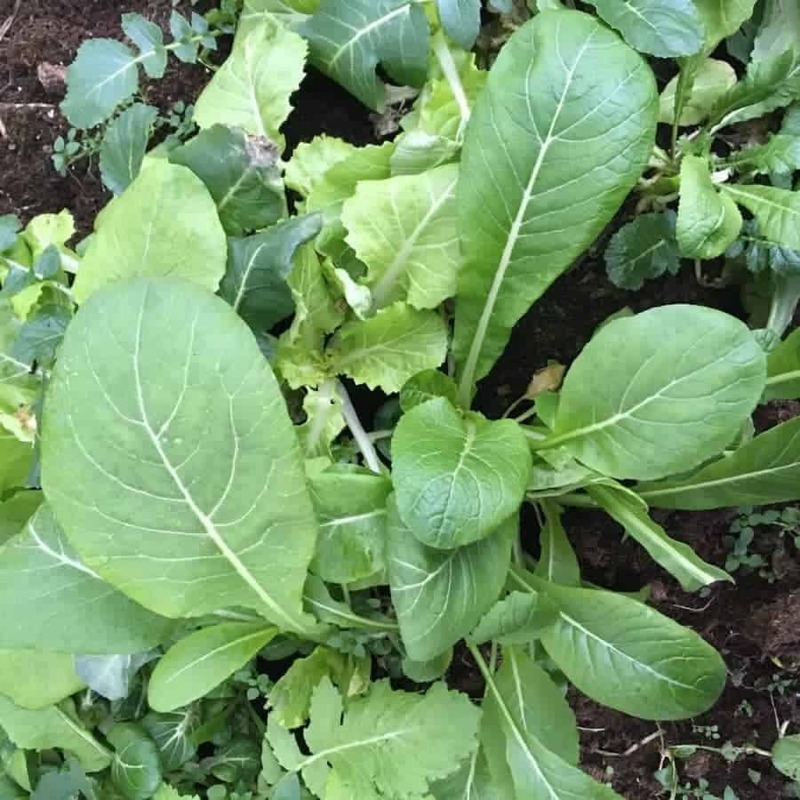 Below you can see a comparison of spinach and komatsuna sown at the same time in the same garden bed. We sow this green in succession plantings in the spring and then again late summer for the fall and winter harvest. I also overwinter this green to get early spring harvests. It’s super easy to grow though, and great for beginners. I like to underplant it under taller plants creating summer shade. You can buy Komatsuna from West Coast Seeds or check other great seed companies that offer the asian vegetables and mustards. 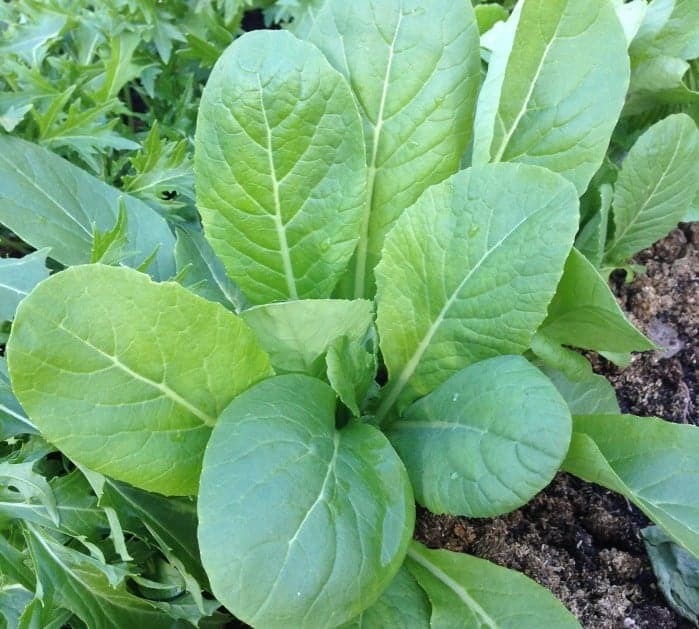 Want to learn more about growing greens to have a year-round supply in any climate? This 60 page guide is only $2.99!